Fred Friend on the state of Open Access: Where are we, what still needs to be done? This is the third Q&A in a series exploring the current state of Open Access (OA). This time the questions are answered by Fred Friend. By profession a librarian, Friend has long been an energetic and committed advocate for Open Access. He is also one of the small group of people who attended the 2001 meeting that led to the Budapest Open Access Initiative (BOAI). It was at that meeting that the term Open Access was coined, and a definition of OA agreed. Friend has also worked for the UK organisation JISC, and has recently undertaken consultancy work for the European Commission and for Knowledge Exchange. Other contributors to this Q&A series include palaeontologist Mike Taylor, cognitive scientist Stevan Harnad, director of the Harvard Open Access Project Peter Suber, and SPARC's Heather Joseph. The index of all twenty interviews conducted is here. Q: What in your view have been the major achievements of the OA movement since you helped draft the definition of OA in Budapest in 2001? A: I am continually amazed by the fact that the concept of open access to publicly-funded research outputs, as we drafted in the Initiative, is now on the agenda of governments and funding agencies across the world. We proved to be the “butterfly effect” that has led to the winds of change blowing through scholarly communication, not because we planned it that way but because what we proposed in the BOAI chimed with the until then unexpressed hopes of hundreds of thousands of researchers to use the Internet in ways which benefit human society. The BOAI was only the catalyst for change. The real achievements of the OA movement lie in the way the ball we threw in 2002 has been picked up by others who have made freely available the huge volume of content now in open access repositories, despite considerable pressure to do nothing about open access. The story of BOAI can be a source of encouragement to any who feel depressed by the power of vested interests to block changes needed to release the power of human endeavour. A: I really should not be disappointed, because the take-up of open access has been remarkable in such a short time-period, but for those of us who can see the opportunities ahead, the day on which there is payment-free access to and re-use of 100% of publicly-funded research outputs cannot come soon enough. That achievement is now not in the hands of those of us who drafted BOAI but lies with the thousands of researchers across the world who could so easily bring the day closer by simply depositing their work in an open access repository. I understand the pressures many researchers face to follow the old path to academic recognition. My trust is in the growing awareness of the foolishness in chasing after recognition through three-decimal-point journal impact factors which tell us nothing about the quality of an individual journal article. Open access opens up new ways of assessing the value of research publications on a single-article basis. It is in shaking up many aspects of research communication as much as in opening up access that the OA movement has been valuable. A: The view of myself and many other OA supporters has remained consistent, i.e. that both green and gold routes to OA are valid and therefore both should continue to be recognised in a level playing-field in scholarly communication. Deposit by authors in an open access repository is the easiest first step but that will not prevent publication in an OA journal. Most governments and funding agencies have also continued to follow that even-handed policy, the only exception being the UK Government, which chose to bow to persistent lobbying by the publishing industry, set up a Finch Group dominated by publishing interests — both societies and commercial publishers — and chose to give preference to APC-paid gold OA. This rushed and expensive decision will not assist the publishing industry in the long-term, because it has focused attention on the value for taxpayer money from the various research dissemination models. How long can the subscription/licensing model continue when it is the least cost-effective model? How long can APC-paid gold OA continue with payments at such at a high level when there are more cost-effective university-managed gold OA journals requiring no or very low payments from authors? How long can publishers continue to dismiss green OA as “unsustainable” when their own businesses are at greater commercial risk than the university repositories providing green OA? No open access advocate I know wishes to see the fall of a publishing house, but sooner rather than later the research funders and taxpayers maintaining the current publishing infrastructure will realise that the public funding underpinning the present research journals can be better spent. There is certainly hope for the publishing industry in the new publishers who have embraced OA completely, instead of trying to fit OA journals into a subscription-based infrastructure, provided that they do not mimic the practices of established publishers. A: The concept of hybrid subscription/APC-paid gold OA journals looked attractive when they first appeared but the model has not been implemented widely. Even ignoring suspicions of “double-dipping”, the model has suffered from the flaws in both the subscription and APC-paid models. Rather than overcoming the flaws in the subscription model, hybrid journals have added to those flaws the flaws in the APC-paid model. In principle hybrid journals could have assisted in a transition to an individual-article publishing model, but the continuing publisher accounting model by journal title rather than by individual article has rendered hybrid journals ineffective as a mechanism for change. Journal titles are a convenient way of grouping related articles but are not a good basis for cost-effective business models. A: OA remains in a healthy state both in the UK and internationally, in that the volume of OA content continues to grow. Perhaps the part of the world with the most promising OA infrastructure is the European Union, where the repository-based OpenAIREplus programme for research publications and data is transforming access and re-use of publicly-funded research outputs. The research programmes in all EU Member States will benefit from this new infrastructure as the Horizon2020 EU funding kicks in. European leaders understand the potential benefits to innovation and economic growth from this investment in OA-communicated research. The UK Government also understands the potential benefits and its commitment to open-ness in research data is strong, even if its policy on research publications has taken the wrong path. A: So much needs to be done to achieve 100% OA coverage of world-wide research publications and data that no OA advocate can be complacent. The OA movement represents a radical shift in the culture, policies and behaviour of researchers, institutions, funding agencies and governments. That shift is part-way along its spectrum and the momentum is, I believe, unstoppable. The number of OA publications continues to grow along a steady path, so the trend is clear. The available technology continues to open up new research opportunities which suit an OA environment. However, such a massive change in research culture will take several more years to work through, and many individuals and organisations can contribute to the process of change. A: Open access repositories are the most cost-effective and sustainable route to open access, but they have to be shown to be so. We have to prove to authors that depositing their work in an open access repository is the best step they can take, not only for their own research and careers, but for the entire world. Countering the lobbying against open access repositories from vested interests should be undertaken through rigorous research into the costs and benefits of the various publishing models. Open Access advocates have nothing to fear from such research. The developing world was very much in our minds when we met to draft the BOAI, and the beauty of the BOAI text — not drafted by me! — never ceases to inspire me. It is still important to “share the learning of the rich with the poor and the poor with the rich”, working to “lay the foundation for uniting humanity in a common intellectual conversation and quest for knowledge”. A: Obviously more growth in OA content and commitment, but perhaps even more important are the stories we are beginning to hear of the value of sharing research and teaching resources freely across the world. Open access is good in itself, but the real benefit from the ability of researchers, teachers and learners to share content without financial, legal or technical barriers lies in the intellectual, economic and social growth which results from that sharing. A: Cost does matter, but not on its own. Cost always has to be related to benefit. I do believe that repository-based OA and non-APC gold OA will be less expensive than both APC-paid gold OA and the current subscription/licensing model for research publications, but the important point is that the cost-benefit from publisher-led models will be poorer than the cost-benefit from the academic-led models. The reasons are the high overheads and high profit levels in the current publishing infrastructure, and equally important the ability of the research and teaching communities to grow the benefits from internet-based technology. 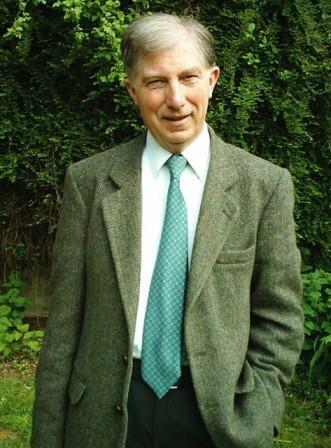 Fred Friend studied history at Kings College London, obtained a postgraduate library qualification at University College London, and then began his library career in Manchester University Library. After Manchester Friend moved to the University of Leeds and then to the University of Nottingham before obtaining his first library director post at the University of Essex. This was followed by a move to University College London, where he was library director for 15 years before starting a new role as Honorary Director Scholarly Communication, leading to involvement in the international open access movement. Friend is one of the authors of the Budapest Open Access Initiative and he worked for JISC for several years as their Scholarly Communication Consultant. More recently Fred has undertaken consultancy work for the European Commission and for Knowledge Exchange. His website can be access here. "No open access advocate I know wishes to see the fall of a publishing house." Actual publishers, I am all for. The businesses that we call "publishers" but whose business is to prevent dissemination are damage. They have absolutely no role to play in a same system, and I will shed no tears if one or more of them go under. Barrier-based publishers are a tax on research. OK, Mike. Fair comment. Perhaps I am going soft in my old age, but for the sake of all the young people who work for the publishing giants, I wish we could find and they would accept a smooth transition away from the way the owners of the publishing houses currently run their businesses. That is a kind and admirable attitude, Fred. My problem here is that, whatever high goals they went into this with, these idealistic young people working for the publishing giants are functioning as enablers of a regressive and oppressive regime. They're not so different from the idealistic young executives who went to work for tobacco giants hoping to change them from within, only to become part of the problem.